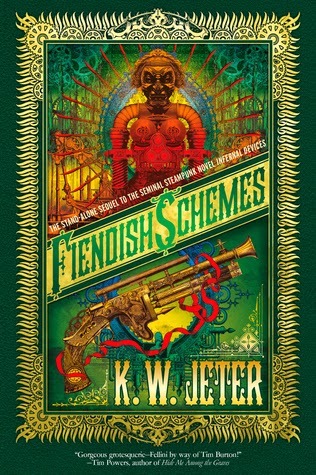 Whilst I still enjoyed reading Fiendish Schemes, I feel it lacks the punch of Infernal Devices and, at least until towards the end of the novel, the wit and humour from the original is missing as well. The storyline meandered for a while before finding its way and the characters at times seemed like cardboard cut-outs. If you read and enjoyed the first book, you might, like me, find something to enjoy in this one, but, if you are coming to Jeter's writing for the first time, this is not likely to be a good book with which to start.